1.This is automatic insulation paper inserting machine, the insulation paper can be automatically formed, cut and inserted, the length of insulating paper can be adjusted. 4.The device is equipped with tree color light tower to indicate the machine status. 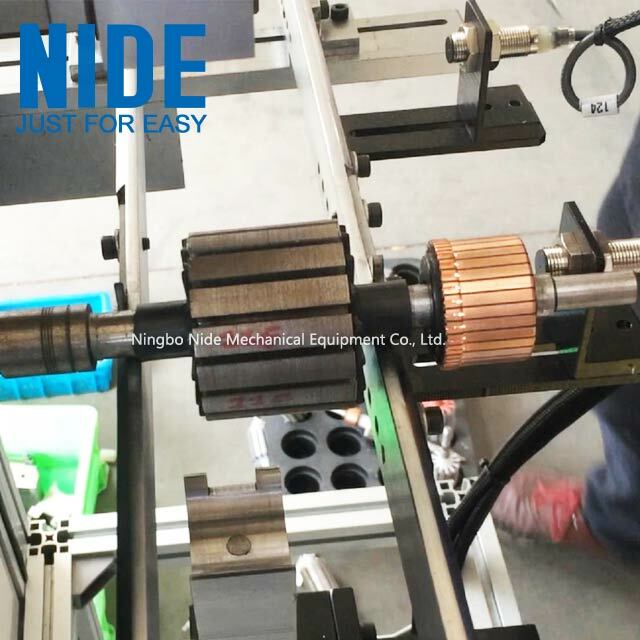 5.The equipment adopts the quick change-over tooling design, which can realize the rapid change-over. 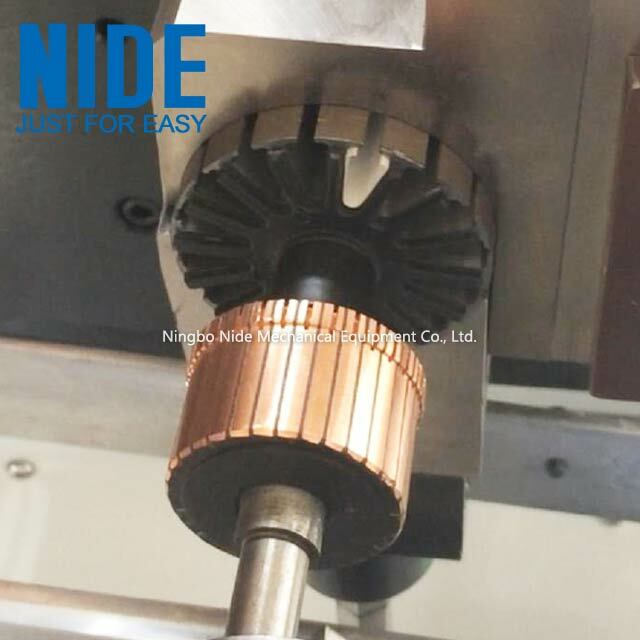 7.The air supply of all equipment must be connected with the air source processing device to ensure the air source quality. It has Low pressure alarm function. 8.Anti-rust treatment on the surface of equipment parts (blackening, electroplating, painting). 9.The main equipment frame adopts welding frame, the upper side adopts aluminum profile and acrylic glass modeling, and the main color of the equipment is air conditioner grey (RAL7035). 10.The equipment has safety protection signs, safety parts are yellow, emergency stop button, operation warning signs. 11.The equipment is controlled by PLC and the touch screen is convenient for debugging. 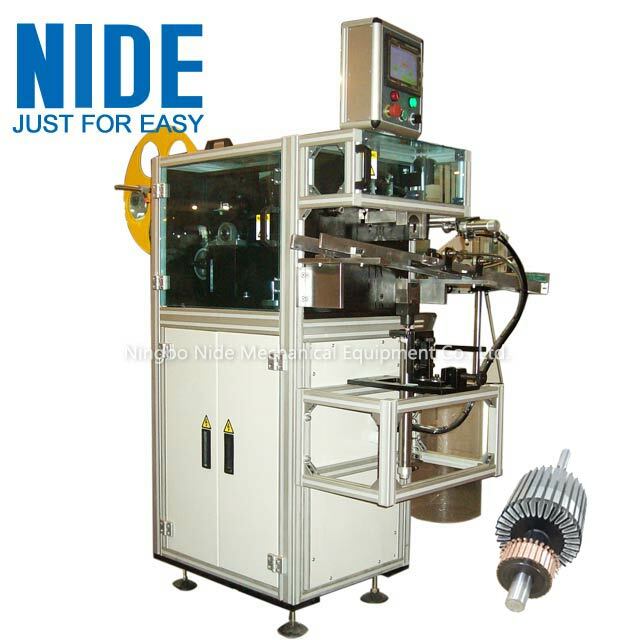 Looking for ideal Armature Insertion Machine Manufacturer & supplier ? We have a wide selection at great prices to help you get creative. 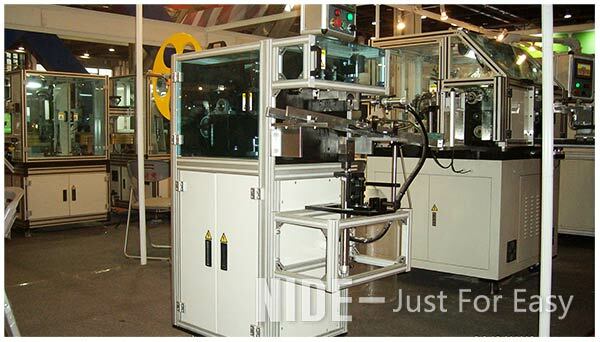 All the Armature Inserting Machine are quality guaranteed. We are China Origin Factory of Insulation Paper Insert Machine. If you have any question, please feel free to contact us.